A serious stock market correction occurred last week, which took some by surprise. This fall by around 7% is even more surprising after a long period of bull market in which Dow Jones and S&P 500 broke several of their own records. But this fall is the one we’ve been expecting for months now and we – among others − have said that it would come in the first quarter of this year. At the beginning of February, a serious market correction occurred in the American stock market which took many by surprise. In the last days, Dow Jones Industrial Average and S&P 500 fell by around 7%, which was a huge change after more than 8 years of bull market. But this fall was not unexpected to many analysts and investors. Why did we expect this? There were many reasons behind this, but one was even more obvious than others: when CBOE Volatility Index goes as low as in the chart above, corrections usually occur. 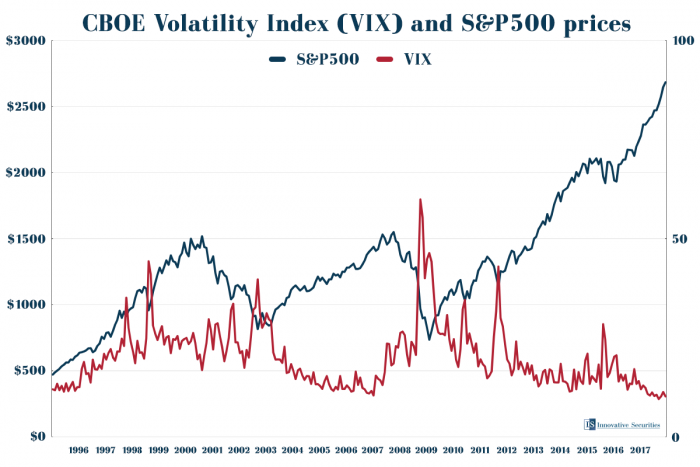 As it can be seen, last year’s volatility hit all-time lows. This optimism didn’t go away this year instantly. 2018 started with stock markets breaking records, S&P500 for example went for its longest ever period without a fall bigger than 5%. A correction was more and more inevitable. 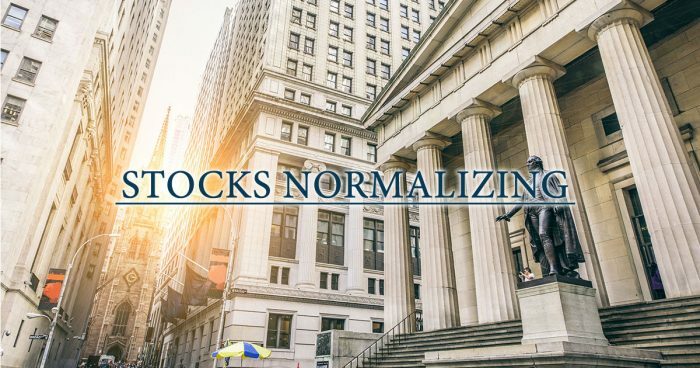 Mark Grant chief global strategist for B. Riley FBR Inc. went even further, saying: “Last year was really an aberration and not a normal year.” This is in line with what we believe have happened. The FED is also expected to hike rates this year again and that may bring further changes to the markets. MarketWatch believes that European and Japanese central banks will follow the lead of their American counterpart. It’s important to remember that the task of a good investor is not changing as the markets move, but to anticipate these movements. A correction may be necessary but losing money on one is not. This is also a reason why we always write about our expectations, even if these expectations are about corrections and not only about good news. It’s also true that these situations may hold profit for investors. Bonds, for example, may go up in the near future as stocks go down, as this is often the case. Being cautious when everybody is overoptimistic is also a good idea, just as much as seeing opportunities when prices are low. A broadly diversified, global portfolio can also be prepared to withstand the stresses of a correction like this. It’s also important to have a clear target about a long-term investment and not to give in to speculative and contradicting expectations about the future.